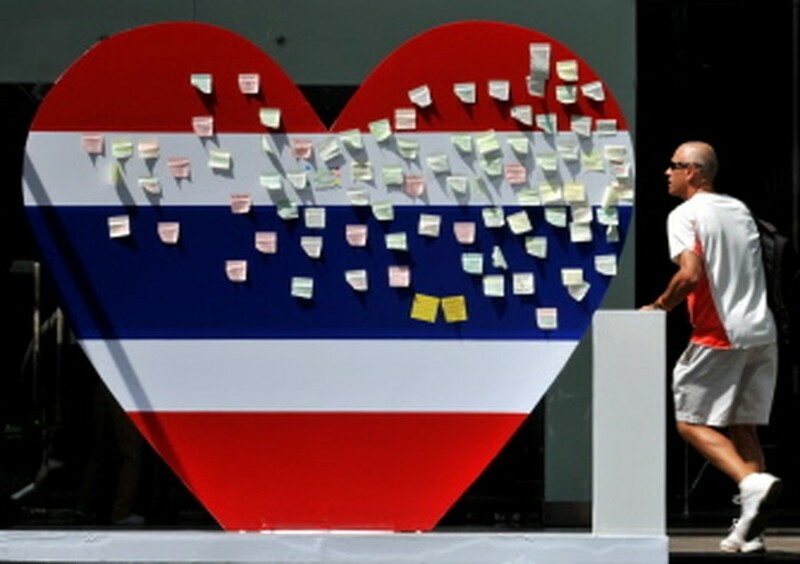 BANGKOK, May 27, 2010 (AFP) - The Thai government said Thursday it would request Interpol's co-operation to arrest fugitive ex-prime minister Thaksin Shinawatra on terrorism charges in connection with recent deadly protests. The request for help from the international police agency would be sent "so any country that knows of his whereabouts can notify Thailand, so Thailand can begin the extradition procedure," said deputy prime minister Suthep Thaugsuban. Thaksin, who was ousted in a 2006 coup and lives in self-imposed exile to avoid a jail term for corruption, said in a phone interview Wednesday that Interpol would recognise the accusations were "politically motivated". Thailand's Criminal Court approved an arrest warrant for Thaksin on Tuesday after the government accused him of inciting unrest and bankrolling the rallies by opposition "Red Shirt" protesters, many of whom seek his return to power. The Reds' street rallies, which were broken up last week by the army, paralysed central Bangkok and sparked several outbreaks of violence that left 88 people dead since mid-March, mostly civilians, and nearly 1,900 injured. "The Department of Special Investigation, the Attorney General's office and the foreign ministry agreed to send the request to Interpol to issue an alert that Thaksin is wanted on terrorism charges in Thailand," Suthep said. 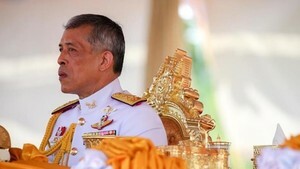 "If Thaksin thinks that he's innocent he can come to prove himself," he told reporters. Speaking to Australian Broadcasting Corporation on Wednesday, Thaksin insisted he had advocated peaceful protests, and "never, never supporting any violence." "Interpol have their own criteria to judge, that is... to not be politically motivated. This is clearly politically motivated and there is no ground," he said in English. If found guilty, Thaksin could in theory face the death penalty, but the warrant appears aimed at boosting attempts to extradite the tycoon-turned-premier, who has found sanctuary in several countries. Thaksin's lawyers have asked the court to revoke the warrant, while the Thai government has exerted pressure on countries he has visited and to which he has moved to freeze his finances. A Montengrin source, speaking on condition of anonymity, said Thaksin was due back in the Adriatic state Wednesday after a quick trip to Cyprus and had been asked by Montenegro to avoid making any public comments during his stay.